A proficient pest control service serving the heart of Sydney and surrounding suburbs. 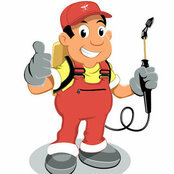 With vast experience in both commercial and residential pest control, termite inspection, treatment and eradication. Utilising the latest technologies and best chemicals on the pest control market, we deliver an exemplary service. Our Sydney based technicians specialise in cockroaches, termites, flies, ants, bed bug, spiders, rats, bees, wasps and birds. We would love to assist you with your pest control requirements and would be grateful of the opportunity.